I was born into a Catholic household and family. My mother’s side of the family is a bit more religious than my dad’s side, but both consider themselves Catholic. I was baptized as an infant and upon reaching the appropriate age, I was put in Sunday School/Catechism where I learned about the Lord Jesus Christ, the Almighty Father, and the Holy Ghost. Throughout my years in Sunday School I had my first confession, my first communion, and finally my confirmation. By this time which was approximately age 11 or 12, I had already decided that I did not really want to go to church anymore, and I was given the liberty of choosing not to attend church on Sundays any longer. I had a very strong spiritual connection with God and felt I could speak with Him from within my heart. My parents respected my decision. All throughout my youth I wondered about certain conversations or things I observed such as my dad’s ‘collares’ or elekes, why he put apples or pennies in front of a St. Barbara statue we had and even wondered how the saints fit into the ‘church’ beliefs. On both sides of my family, there has always existed special or ‘magickal’ home remedies, superstitions, and several aspects that also seemed odd for me when comparing them to what I was taught in Catholic Sunday School. However, I never questioned them, but rather tossed them up as ‘cultural’ learning. I didn’t understand why I could see spirits. I didn’t question how I saw an image of my late grandmother before ever seeing a photograph of her. These were all just part of my life, just like all other things were. I now know that my dad was a spiritualist and had joined the masons in his youth. He is a medium and has always been an open portal for the dead to speak through. His father, my grandfather, was a seer, and was a Rosicrucian. My mother’s mom, my grandmother, and several of my great aunts were into the occult, and were sought out for readings, fortune telling and healing magic. My interest in witchcraft peeked when I had to write a research paper for English Composition class in high school. My selection of topics lead me to write about Witchcraft. I didn’t know anything about it, aside from what I had seen in movies, and unfortunately there wasn’t such a great selection in our school library. I did find 2 or 3 books on the subject and wrote a fantastic paper where I got one of the best grades I’d received. I’m certain that looking back now, those books are as accurate as putting a square peg in a round hole, but the images and illustrations in the books are what truly captured me. I remember getting lost in the illustrations, almost like a trans-state, where the images almost began to move. This exposure stayed with me, embedded like a seed in a very subtle but steady growth, hidden from the light of day, but felt within the core of my soul. My first experience with the craft. I was invited to hang out at a friend of a friend’s house for a party that I vaguely remember being for a birthday or something. At approximately 11:30pm I was asked if I would like to participate in a Wiccan full moon ritual that was going to be held in the backyard. I was so excited and a little bit scared at the same time, but mostly just vibrating with elation that I was going to witness and be part of something that I had had a secret interest in for such a long time. Needless to say, it was everything I expected and more. At the end of the night, the high priestess gifted me a book called: The Way of the Goddess-A Manual for Wiccan Initiation by Ly Warren Clarke. My very first pagan book. Sadly I never saw that high priestess again because I’d truly love to find her and thank her. After this, I began going to book stores like Barnes N Noble to look for all sorts of pagan related books. I acquired a few over the years by authors like Scott Cunningham, Gerina Dunwich, Janet Farrar and Gavin Bone, and Phyllis Curott among others, all which have guided or helped me develop into the witch I am today. In the beginning of my transition into the occult, I had a very difficult time letting go of the concept of Christianity and embracing mythology gods and goddesses, so I decided I didn’t need to do that. *(see note)* This is when I began identifying myself as a Christian Witch (not a very easy thing to do), and not accepted by almost all Pagan folk. The years went by, I read more and more, and slowly I found myself transitioning, evolving. I found myself wanting to trust that other Gods and Goddesses existed, but how could I when my Christian beliefs were so strong? This is when I made a conscious decision to trust my gut, trust that intuition, that little voice from way inside and fully embrace the idea of other deities. A clear confirmation of their existence came to me in physical form (an undeniable series of what to me is concrete evidence that someone or rather, several someone’s where out there listening to me). One of the divine experiences I had, came about after my very first Tarot reading with the Tarot Maven of the Meetup.com pagan group I am a member of. I had not been out to the ocean/beach in a very long time. I knew I needed to reconnect with the ocean, but there were many obstacles, some physical, others emotional, that kept me away, but a message in the reading said I had to do this for myself, and sooner rather than later. So I selected a day and packed up my things and went out to the beach (Bill Baggs Cape Florida Park beach), on a week day, all by myself. I set up my chair and stuff near the lighthouse and did a little ritual without props and when the right time came, I walked into the water. Words will not do justice to explain the magick I felt when the water touched my skin. It was like the softest caresses of satin sheets barely brushing my legs. I walked in, to waist deep water, making my way to the rocks and the base of the lighthouse when suddenly I was surrounded by a ring of tiny little fish that created a circle around me immediately after I had requested confirmation from Amphitrite, the beautiful deity I had reached out to, to help me return to the ocean. I decided then that I was going to put my Christian beliefs on a shelf for now and fully embrace polytheism. 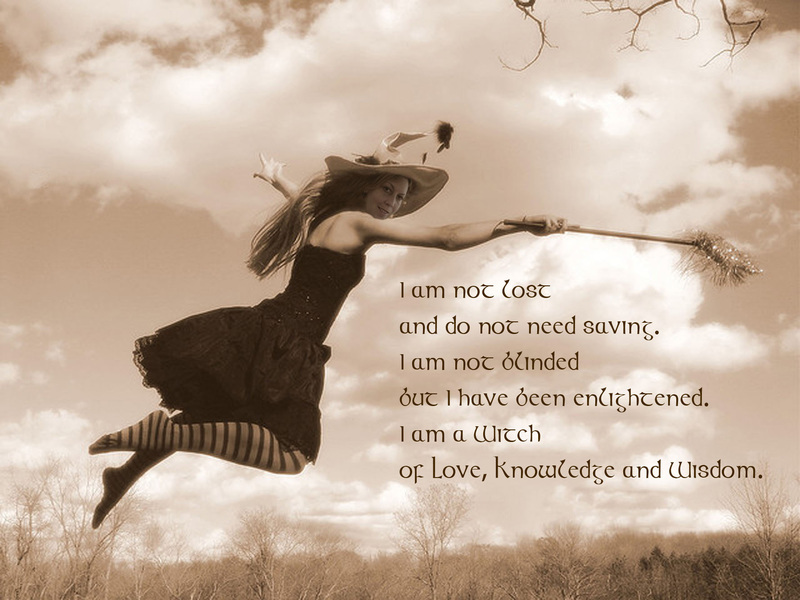 I began learning about Wicca at first. Mainly because it is what is most common and readily available, but in time I learned about other pagan practices like Neo-Druidism, Greco-Roman, and Celtic. During the last two and a half years I have grown and learned a great deal in occult practices, carefully balancing how the divine choses to manifest itself before me, around me, and within. I do not put barriers around my spiritual self with the thought that I can only communicate with a certain pantheon or type of religion. I allow the divine to reach me in any way. It is only recently that I have delved into other pagan branches such as Thelema and Voudon, and have opened myself up to a ‘come what may’ mentality. Meaning that I am not closing myself off to any one particular pantheon or belief. I am open and accepting of a multitude of ways of communication with the divine. I accept all religions and I respect everyone and their choice of belief, because ultimately I accept and love myself completely. My religion is that which consists of being a good person. Not intentionally hurting anyone or anything, but absolutely defending oneself if need be. I live in harmony with my surroundings and I am accepting and respectful of others. I am spiritual, I am divine, and I am a Witch. Meeting through a local Pagan meetup was no coincidence. We all walked along the path we were each destined to travel. Some of us were long time practicioners and others just testing the waters of Paganism. Destiny brought us all to a common place where our faces became familiar to one another. Bonds formed, friendships developed and trust grew. Soon we all began to share our stories, our experiences and our time together writing a new story with us all entwined between the words of this tale. The very question must have lingered upon the others’ minds. Toying with the possibilites. Yearning to bring it forth. Stirring in the bubbling cauldron that was soon to overflow. And so it did . . . There is was. Out for all to see, feel, touch, smell, dream. Imagining all of the possibilites we had at the tips of our magick wands. It was no sooner than a twinkle of a witch’s nose that we became a circle of trust. We shared together more than ever before. We danced, and chanted and called the Gods and Goddesses. We celebrated together and honored the earth. A multi-faceted circle. We all had traveled different paths. We all brought forth those beliefs and share them with each other. And why not! We were embarking upon a journey unlike others we’ve heard or seen. Our circle was truly one of a kind and completely Eclectic in the literal form. 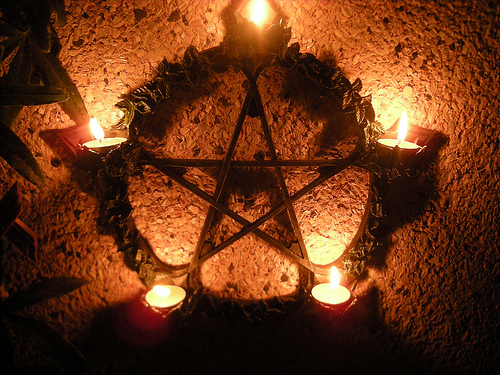 Our main goal as a coven was to demonstrate that witches of different Pagan Traditions could be a coven, could be a circle, and still share and experience various rituals and share sacred space wholeheartedly without having to conform to a particular coven’s tradition or to go in search of a coven who shares your beliefs. Thus our practices evolved. We have each taken turn directing a ritual in our own tradition or free-flowy way. We are learning and growing with each other and from each other. Experiencing something new with each sacred space we share, from Wiccan celebrations to ADF rituals, and preparing for future exposure to a blend of Judaic-Pagan styled ritual, sharing an Indo-Pagan one, and visiting a Santeria misa as well. We have only been a formed circle for a few months now, but we are moving toward several common goals while embracing each witch’s personal spiritual goals as well. Our journey has brought us to develop what we appropriately call ourselves: Every Witch Way Coven ®. Every Witch Way is a coven of friends who have come together in celebration of the divine spark that resides within each and every one of us through the essence of the Divine. We aspire to create an environment that fosters continuous spiritual growth and unite to honor and celebrate all that life brings us. We strive to be a cohesive group of Pagans, to share the vibrancy and strength within us and give back to our fellow brotherhood of mankind. Our mission is to help educate our community about Paganism, serve as an outreach group providing resources to both Pagans and non-Pagans alike, and we hope to set a positive example for all those looking in our direction by embodying the love of God & Goddess in all our endeavors. I hope that other solitary witches and even witches already in existing covens realize that there is more that they can do to work toward the world wide goal of living in peace and harmony together. I hope that our circle will teach and serve as a positive example to inspire you to go . . . Being known as the counsel of the Wise Ones: Bide the Wiccan laws ye must, in perfect love and perfect trust. Live and let live, fairly take and fairly give. Cast the Circle thrice about to keep the evil spirits out. To bind the spell every time, let the spell be spake in rhyme. Soft of eye and light of touch, speak little, listen much. 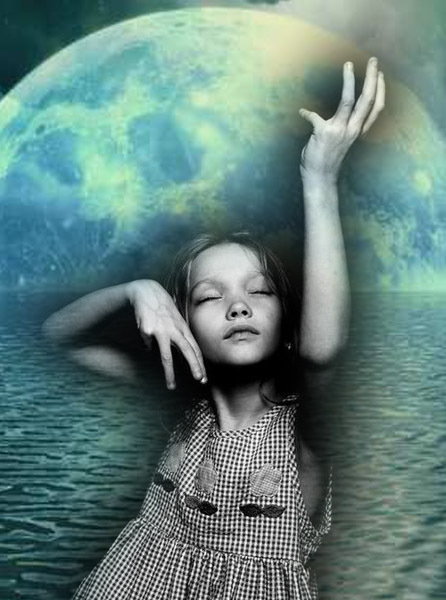 Deosil go by the waxing Moon, sing and dance the Wiccan run. Widdershins go when the moon doth wane, and the Werewolf howls by the dread Wolfsbane. When the Lady’s Moon is new, kiss thy hand to Her times two. When the Moon rides at Her peak then your heart’s desire seek. Heed the Northwind’s mighty gale; lock the door and drop the sail. When the wind comes from the South, love will kiss thee on the mouth. When the wind blows from the East, expect the new and set the feast. When the West wind blows o’er thee, departed spirits restless be. Nine woods in the Cauldron go, burn them quick a’ burn them slow. Elder be ye Lady’s tree; burn it not or cursed ye’ll be. When the Wheel begins to turn, let the Beltane fires burn. When the Wheel has turned at Yule, light the log and let Pan rule. Heed ye flower bush and tree, by the Lady Bless’d Be. Where the rippling waters go cast a stone and truth ye’ll know. When find that ye have need, hearken not to others’ greed. With the fool no season spend or be counted as his friend. Merry meet and merry part, bright the cheeks and warm the heart. Mind the Threefold Law ye should, three times bad and three times good. When misfortune is enow, wear the Blue Star on thy brow. True in love ever be unless thy lover’s false to thee. Eight words ye Wiccan Rede fulfill: An’ it harm none, do what ye will. All ye assembled at mine shrine, Mother Darksome and Divine. Mine the Scourge and mine the Kiss, Here I charge you in this sign. All you assembled in my sight, Bow before my spirit bright. Aphrodite, Arianhod, Lover of the Horned God. Hell’s dark mistress, Heaven’s Queen. Meet me in some secret glade, Dancing round in greenwood shade. By the light of the Full Moon. Work my holy mystery, Ye who are feign to sorcery. I bring ye secrets yet unknown. No more shall ye know slavery, who give true worship unto me. come ye naked to my rite, in token that ye be really free. I teach ye the mystery of rebirth, work ye my mysteries in mirth. for I am the circle of rebirth. By naught but love may I be known. from me they come, to me they go. I invoke Thee and call upon Thee Mighty Mothers of us all. Bringer of Fruitfulness by seed and by root. I invoke Thee by stem and bud. of this Thy Priestess and Servant. that thy servants may be fulfilled. Coexisting: I’m a witch. Are you okay with that?